There are many factors that contribute to survival from cardiac arrest but none as powerful as receiving high quality CPR. We know correct compression depth should be between 5-6 cm but research has found that even achieving this can be difficult to ensure. Tomlinson et al (2007) found that, depending on the patient's chest, the required pressure may actually range from as much as 10-55kg. Can we feel an adequate compression depth? Are compression rates consistently between 100-120 per minute? Is any time wasted between compressions? Just by following these simple steps, we can ensure more lives are saved. Measure the quality of CPR during training. Regular refresher training conducted. Just 30 minutes every 3 months would be enough. Use a live feedback device to measure the quality of CPR provided during therapy. Evaluate these measurements obtained during training and therapy to ensure quality and identify areas for improvement. Our CPR feedback takes the guesswork out of CPR training. Objective measurement enables objective assessment. Results are logged and stored for comparison and tracking of CPR competence development over time. Our multi-manikin function allows you to track the performance of multiple students simultaneously. Evidence supports using feedback during CPR training improves both skill acquisition and retention. Real-time feedback enhances performance both during training and debriefing after. Simply put, when you know better, you do better. These skills can be established through training but they need to be maintained as they will decay over time, even for professionals (Hamilton, R. (2005). 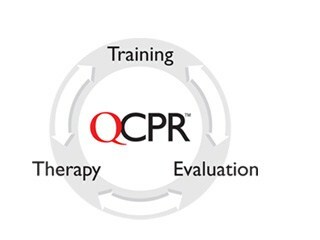 How can a live feedback device ensure QCPR? Using a live feedback device can ensure QCPR is provided during an emergency by providing the live readings. These readings allow for small adjustments to be made whilst care is provided to ensure quality. This feedback is also logged so performance can be evaluated afterwards. Tomlinson AE, Nysaether J, Kramer-Johansen J, Steen PA, Dorph E. Compression forcedepth relationship during out-of-hospital cardiopulmonary resuscitation. Resuscitation. 2007; 72: 364-370. Hamilton, R. 2005. Nurses´ knowledge and skill retention following cardiopulmonary resuscitation training: a review of the literature. J Adv Nursing, 51(3), 288-297.